So I made this based around areas I saw lacking in WFs too increase win %s. 2)Can heal for mediocre amount , but with all the AoE at the monent, when paired with a HoT planar its simple to toss in rotation and negate some of this. I am about to test a shield that procs on dmg ability hope it works. 3)So you are debuffing healing, building combos while healing, and when they are below 30% you get +30% dmg. Making finishing them easier. And this is maybe 3 rd game with it, but it has some nice single target spiking at range and close. So far alot of fun! Click to watch my vidyas. 140 + PvP, oPvP, PvE all classes. Ill make the basters bleed!!! Sorry I thought I had at start of vid, forgoti editted. 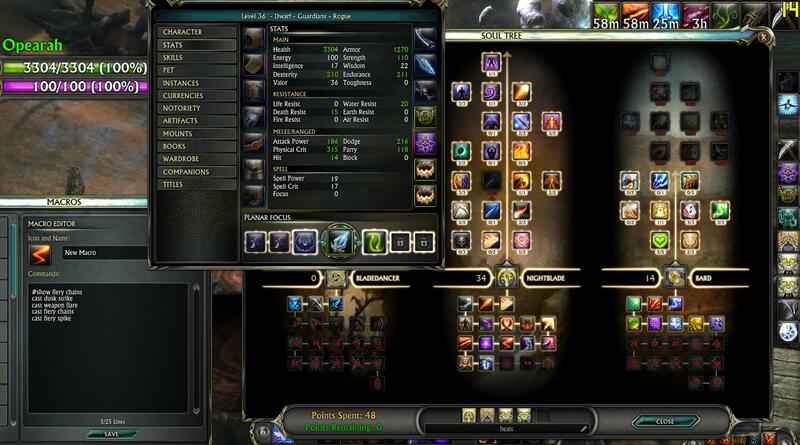 Here is a pic of stats build and spam macro. I was 2 pts less and those 2 points you can subtract bardic inspiration. Atleast you got a graphics card now. 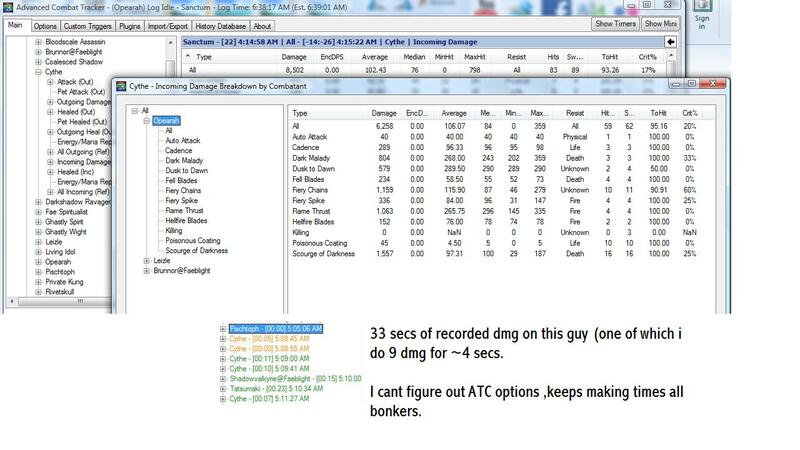 One is started with a stun and then no dmg for 4 sec (thus 0 dps) , got KB 3/5 times. And this is by no means an attempt to min/max anything. Its more built for attrition in a PuG environment healing / building combos with huge finishers esp. below 30% and target is all juiced up. NEW Video - CODEX - MAKING DEFIANT RAGE QUIT AND SIT IN SPAWN , YET AGAIN. "It is by teaching that we teach ourselves, by relating that we observe, by affirming that we examine, by showing that we look, by writing that we think, by pumping that we draw water into the well." If anyone wants to help me configure my parser I would appreciate it, send a PM. Last edited by McWaffle; 05-16-2011 at 05:14 AM. What a wonderful smell you've discovered! 1. You're not using Twilight Force? You're buffing it anyway, and it's a decent power well worth a point investment. 2. Ebon Fury is an excellent source of burst damage. 3. You don't need 2/2 in Melted Skin. As a suggestion, drop all three points from Enkindle (all it does is spread around AoE DPS) and one from Melted Skin, and put one in Twilight Force, one in Ebon Fury, one more in Heat Retention, and consider either putting one in Improved Twilight Force (for the snare), or 5/5 Heat Retention. Right now your build looks like it'll kind of do the job of harassing the enemy without actually contributing significant healing (due to only relying on Cadence spam for minor healing) or the ability to spike down a target. I tried a similar build (mine added in BD for the DD buff for Cadence) and I ended up just going back to NB/RS, because Cadence wasn't really doing anything, and the 5% damage buff on enemies was nice but not crucial. If you were looking to focus on Bard functionality for this build, you'd want to shift much more into Bard to do it. Right now this build seems like it straddles the functionality of both souls without really enjoying the meat of either. Also - how are you not 50 yet? I started my Rogue when you were posting level 20ish videos, and I'm currently level 49. And I'm a casual player at best. yea for some reason it keeps queuing it but not casting. Brand new box I have to get everything going. You will see it get highlighted but not cast in the previous one. Thanks for the advice, its a very new spec I think I have ran it four times. I am leveling a rogue and a warrrior at the same time. Warrrior is 47. I have 5 300 level crafts. over 11k combined kills. Pushing 300 WFs won. I just take my time. I dont look at like a race. I am planning on not having to dip deep in bard once I have two HoT plannars that proc on heal. The one now gives me so so healing. In the codex vid you see it inaction better then first video. FIrst vid is literally first game with it. Here is my last game a loss sadly. I am left with no choose put to so some kamakazi like moves on the flag and if I was to upload be a massive pain because without out chopping deaths its unwatchable and then I get all hung upm but if someone want to see I will upload. Its not exactly pretty, maybe i can do portions. Last edited by McWaffle; 05-16-2011 at 01:34 PM. Still havnt tweaked by build , I am waiting for 38 where I get an influx of weapons/armor/jewelry I crafted (5x300) with Augs allowing for some fun combos. I joined late. We lose. But I think it demonstrates some potential. Last edited by McWaffle; 05-17-2011 at 02:50 PM.